Flowchart provides us great convenience for job. Whether you are looking for a job, analysing job, understanding your job duties, or hiring employees for the job, Edraw, the best flowchart tool for the job, will do you a favor. Edraw, a best flowchart tool for the job, gives you ability to create various good-looking and effective flowchart. 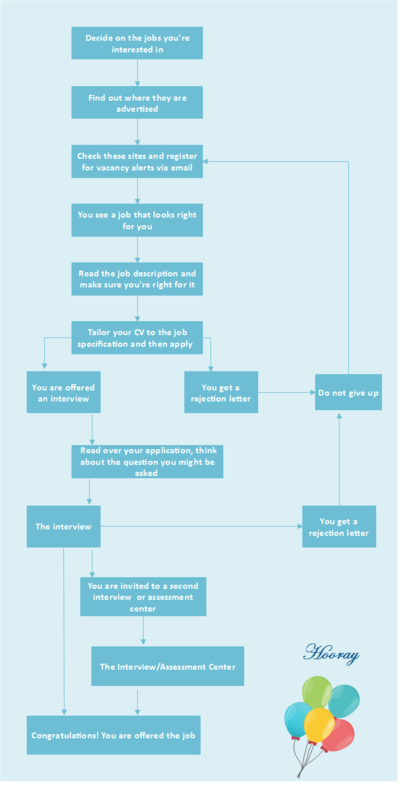 This article will show you four common flowchart types for job i.e. flowchart for job analysis, flowchart for job hunting, flowchart for job hiring, flowchart for job duties. Job analysis is a technical and managerial tool for collecting, analyzing information about jobs and other units of work, especially on career and succession planning. Given that you have worked for a couple of years in a company, but it is really hard to get any promotion. Should you stay or should you go? What if you changed to a worse situation? After thinking through a flowchart for job analysis, you may make a decision more wisely and confidently. Once you quitted the job, you need to hunt for a new job again. Here's how to organize and think about your job hunting as a process of steps. When you find a job and join a new company, the first thing for you is to understand your job duties. 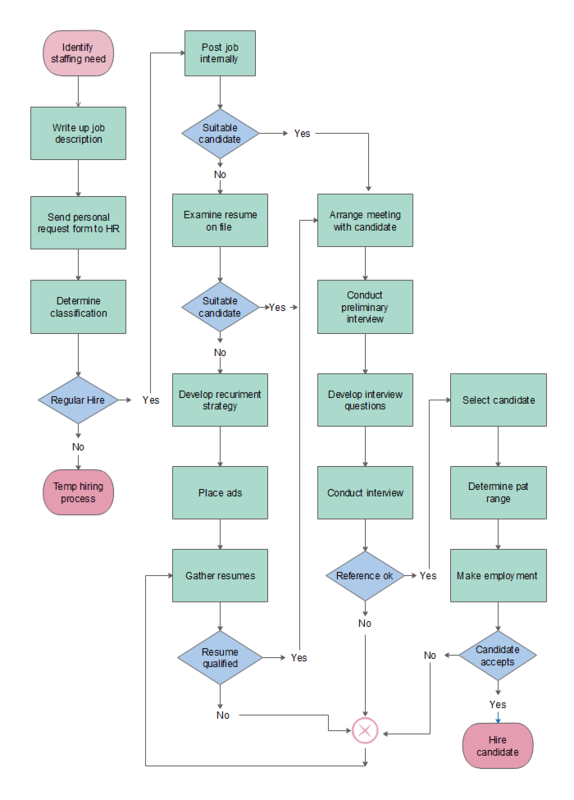 Using the flowchart to reflect your own hiring approval process. Wanna make a flowchart for the job, simply free download our Flowchart Software for Job to have a try. Get Started! 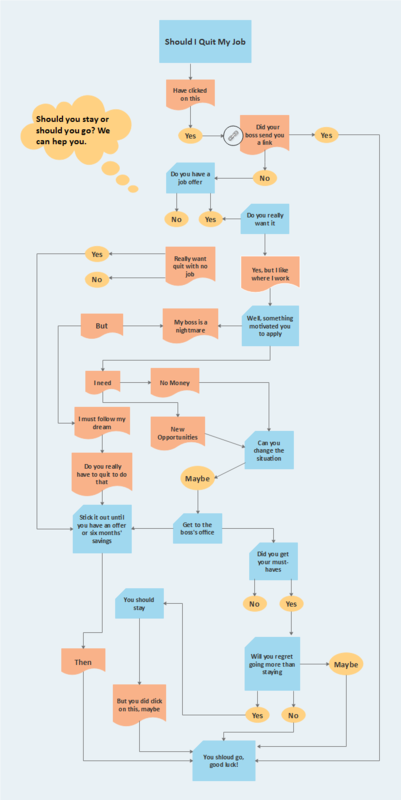 You Will Love This Easy-To-Use Flowchart Maker Software.